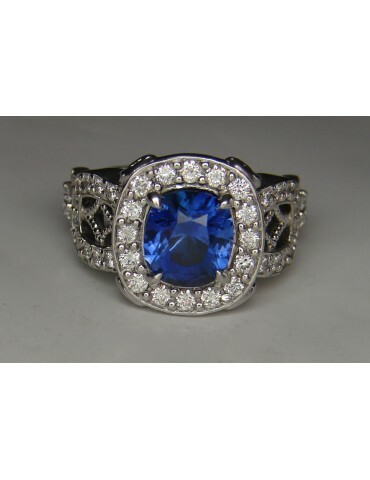 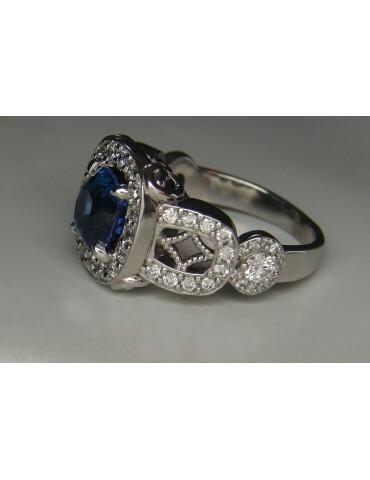 Ceylon Blue sapphire ring 2.63 cts. 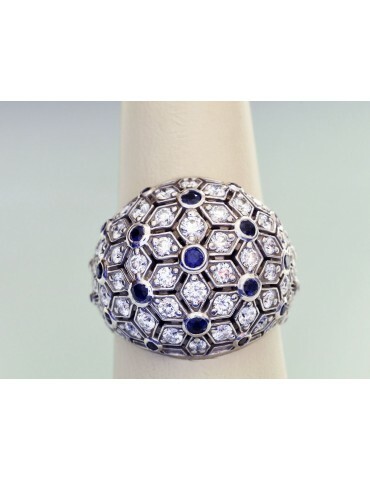 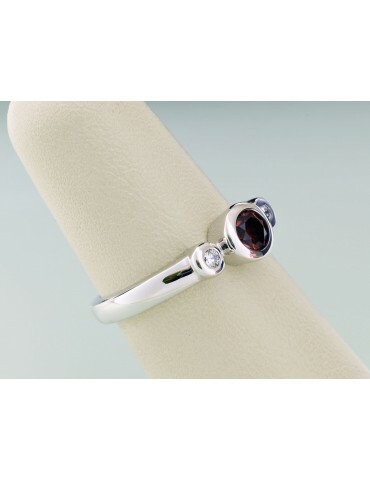 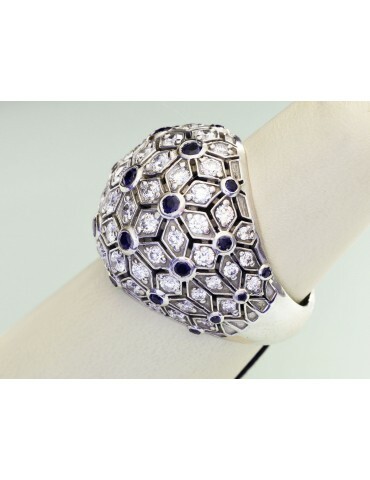 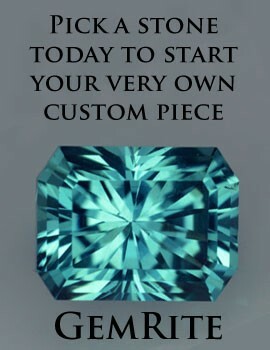 Custom Ceylon blue sapphire ring in 18k white gold palladium. 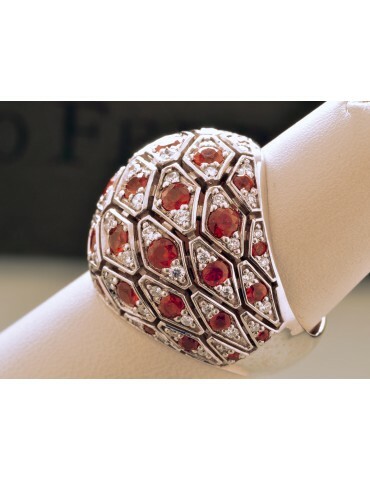 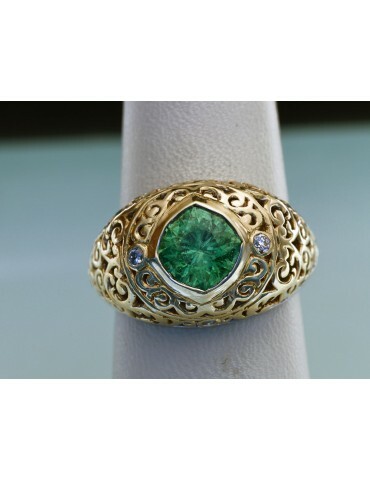 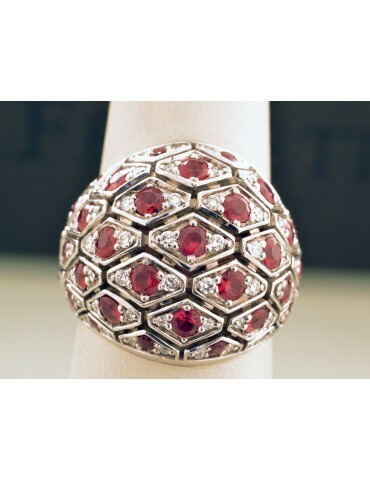 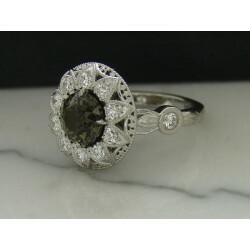 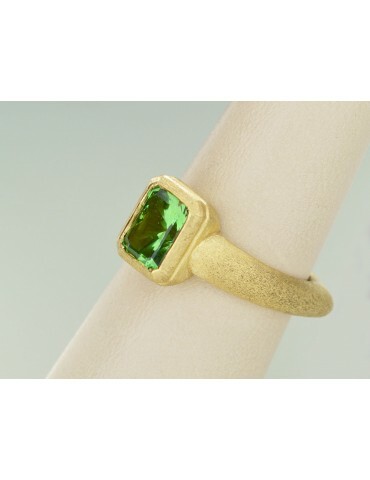 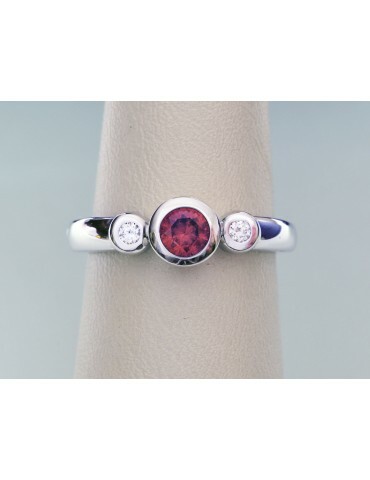 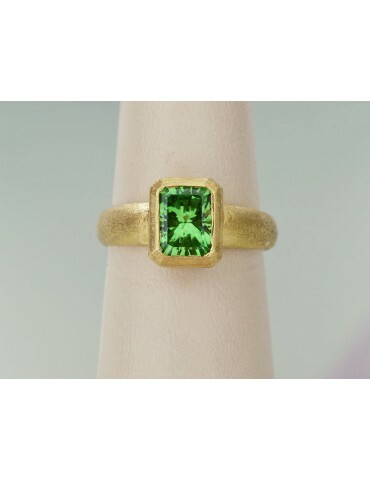 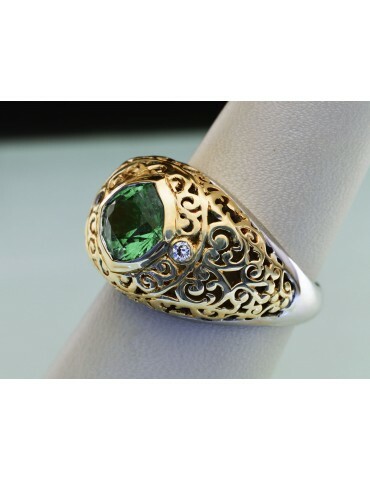 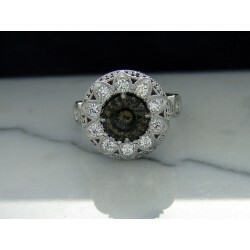 GemDome Tsavorite dome two tone designer ring.